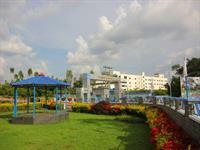 Looking for a property in NH-7? Have a property in NH-7? Our property is surrounded with all upcoming IT companies with best location for Investment as well as Immediate construction purpose.Its pollution free zone with greenery around its having easy connectivity for all the cities. Its having all greenery side ways. Pollution free zone with safety aspects. NH-7, Bangalore is rated 7 out of 10 based on 1 user reviews. Have a good knowledge of NH-7? Share it and become a Locality expert. LG Green County community Villas project is carefully planned by renowned architects the complete layout has been developed to allow residents, and the project is located in NH-7,Bangalore.